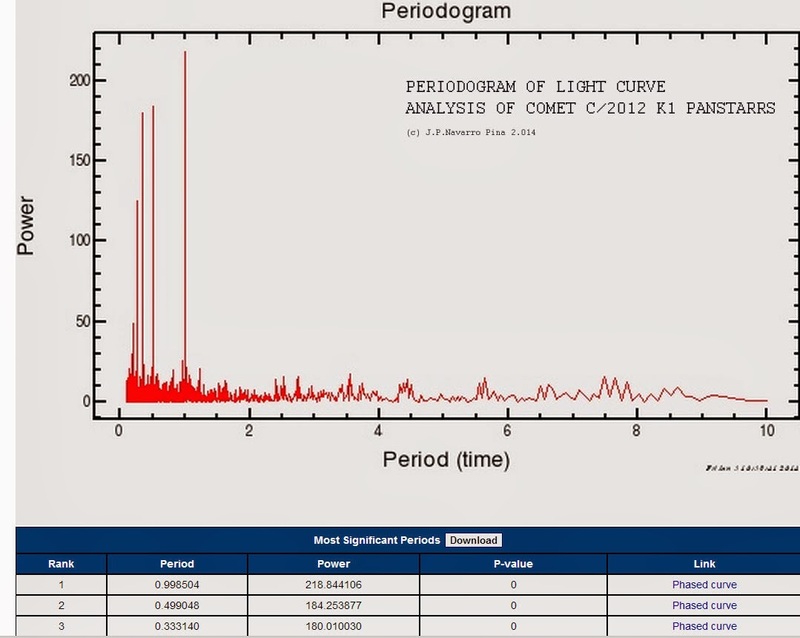 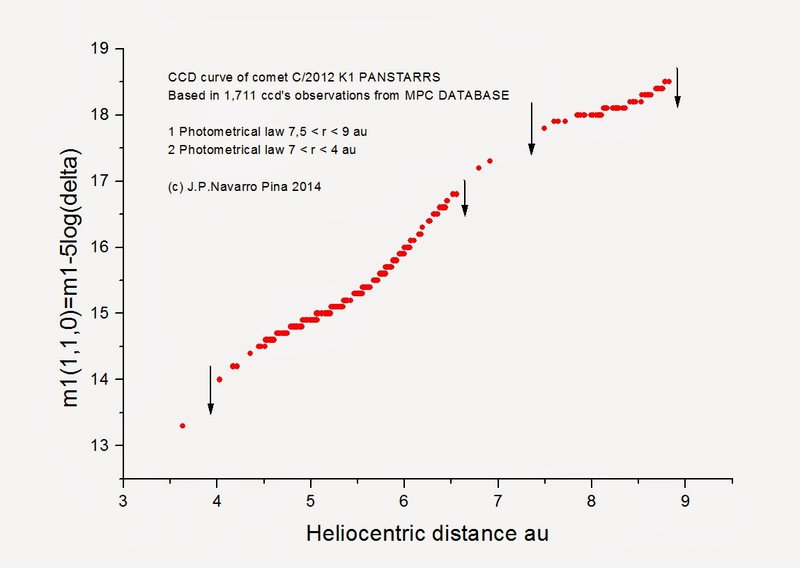 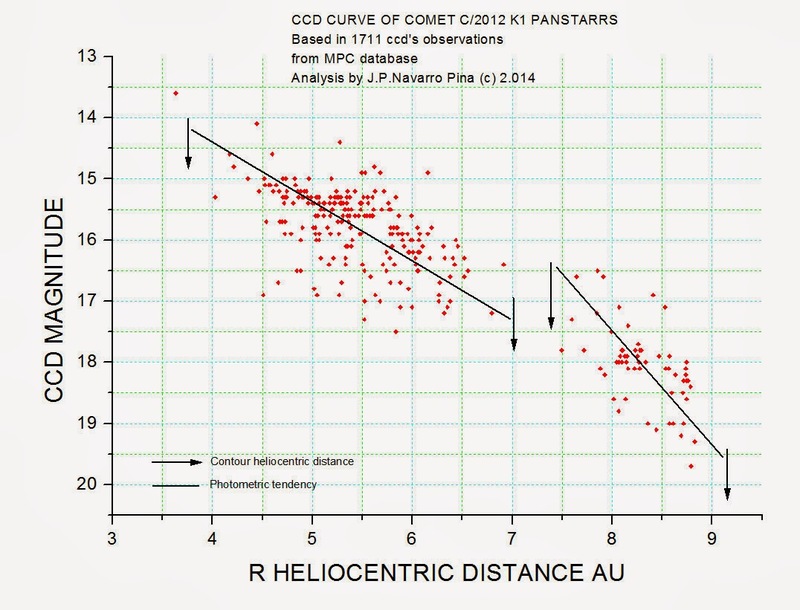 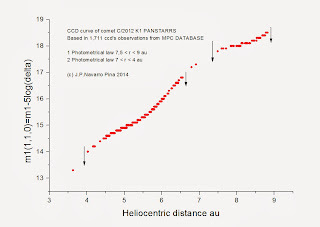 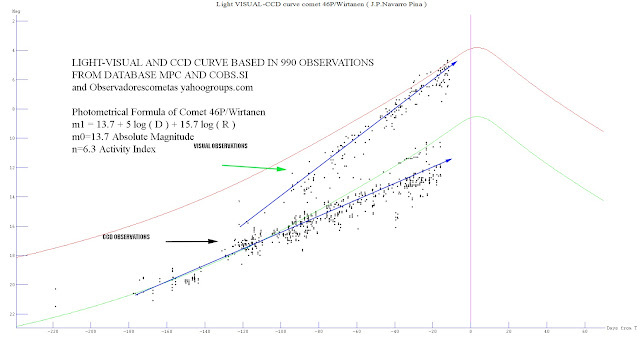 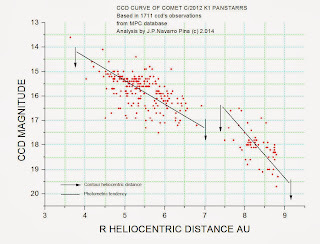 Periodogram of light curve ccd of comet C/2012 K1 PANSTARRS , to investigate the latent periodicities in the light curve ccd i applied the phase dispersion minimization technique of software NASA Exoplanet Archive Periodogram Service and periodogram type Lomb-Scargle . 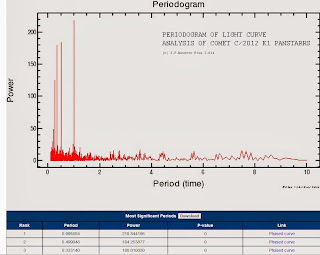 rank 1 period 0.998 power 218.8 rank 2 period 0.499 power 184.2 rank 3 period 0.333 power 180 Database MPC 1711 ccd's observations . 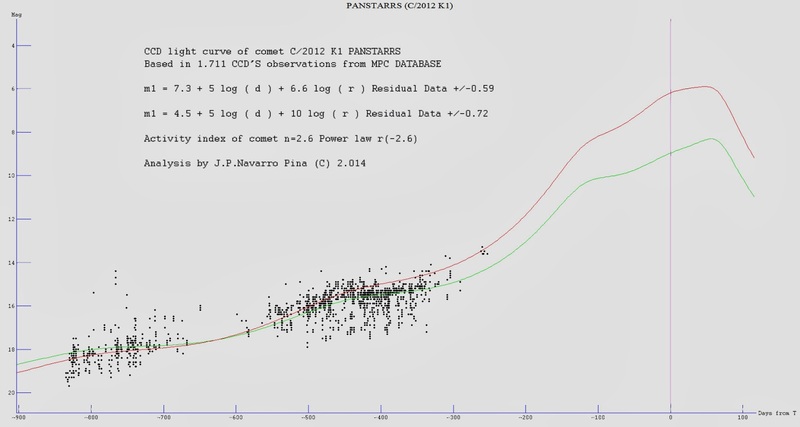 Note : he P-values above are computed for 6776 periods sampled, and an exponential power distribution is assumed. 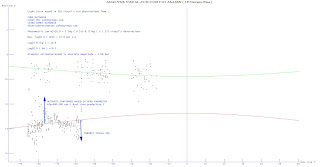 A note of caution when interpreting the results from the periodogram: The calculated statistical significance (p-value) of ranked periods may not be reliable. 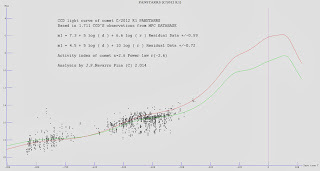 Several factors may invalidate the assumptions applied in estimating the statistical significance.